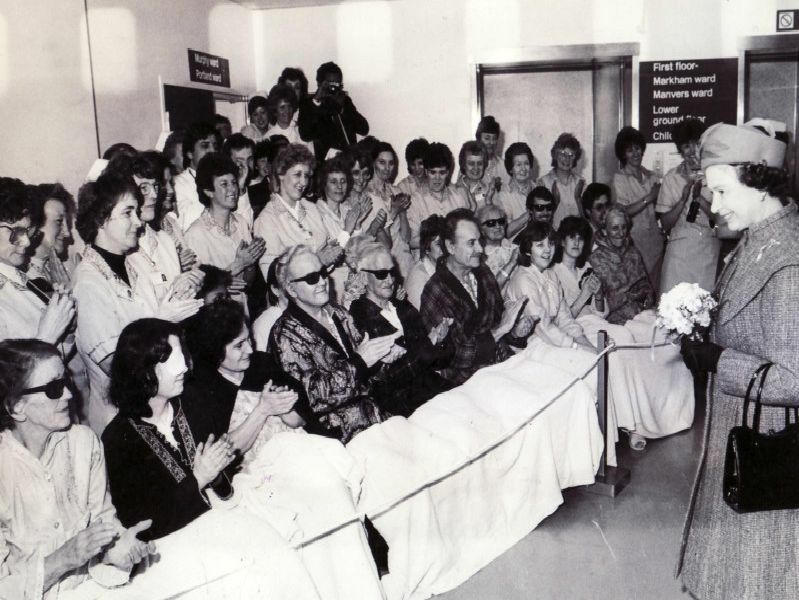 Do you remember when the Queen opened Chesterfield Royal Hospital? Prime Minister Sir Harold Macmillan waves to the crowds at Bakewell Show in 1960 when he was accompanied by the Duke and Duchess of Rutland and the Duchess of Devonshire. 1st Bakewell Brownies and Guides celebrate Thinking Day in 1957. Harry Lane led an archaeological dig at Markham Grips, near Clowne, in August 1972. WRVS members wait for lunch at Bolsover Castle where the annual rally was held in 1979.